Professional race teams, manufacturers, and drivers arrive a week prior to the main event. Time trials commence on the early days and are held on consecutive days up through midweek. The official race is hosted on the only one-mile ice oval snowmobile track in North America. Drivers reach speeds around the 120mph mark as they attempt to complete the full 500 miles and take home the coveted title of I-500 Winner. The green flag is dropped promptly at 10:00a.m., to begin the race. 2019/2020 ISR/USAC Membership insurance program. Mandatory for drivers, optional for crew members! 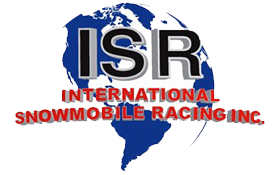 For the 2019/2020 season ISR/USAC is providing excess medical insurance for all drivers at a reasonable rate for the coverage afforded. Please be aware you must have this coverage in place before you can participate in any ISR affiliated event. Keeping the Sport we love safe and fair for all! Woody’s Challenge is a midweek racing event that will see the very best pro riders go head to head in a 25-lap sprint sponsored by Woody’s and titled “The Woody’s Challenge.” It provides plenty of excitement, as experience and raw talent combine to create an unforgettable race! In 2019, the Silver Anniversary of the Woody’s Challenge, the 25th running, will be a part of the exciting 52nd annual I-500 Race Week on Thursday, January 30, 2020 at 7:30p.m. Qualifying takes place starting on Tuesday, January 28, 2020 from 6:00-6:45p.m., then on Wednesday, January 29, 2020 from 12:00-12:45p.m. Then it’s time for Final Round Qualifying on Thursday, January 30, 2020 from 3:00-3:45p.m. One (1) Qualifying Attempt Per Day / The Top 16 Overall from the three days of Qualifying are locked in! The Odd Qualifiers (1, 3, 5, 7, 9, 11, 13, 15) and the Even Qualifiers (2,, 4, 6, 8, 10, 12, 14, 16) will run a 7-Lap Heat Race taking the Top 4 finishers and locking them into the Woody’s Challenge. Woody’s Challenge – 15 laps for $1,000 to Win with the “Best 8” professional riders, the very best pro riders in the world! In 1991, the first Woody’s Challenge debuted at the ISR World Series of Ice Drags in the 800 Open class. At that time, 800 Open was the largest high-performance class in ice drag racing. The Woody’s Challenge was held during the ISR World Series of Ice Drags from 1991 to 2004. In the summer of 2004, the Woody’s Challenge moved to grass drag racing in the 1000 ProStock class, the largest high-performance class. The 2005 Woody’s Challenge had been scheduled to take place in Seneca Falls, NY; however, the event was canceled due to rain. For 2006 & 2007 in order to keep this prestigious race going, it was determined to move the event to snocross. Years 2008 through 2012, the Woody’s Challenge was not contested. In 2013, the Woody’s Challenge was rejuvenated and for the first time was run in oval racing at the I-500 in Sault Ste. Marie, Michigan. This change required some modifications to the format, which included having two drivers as a team; one pro and one ‘amateur’ to each run 20 laps for a total of 40 laps. In 2017, due to the revised schedule implemented for I-500 Race Week by the I-500 Board of Directors, the Woody’s Challenge format was changed to a 25-lap Shootout. Teams participating in the Woody’s Challenge went through a series of qualifying sessions to lock in the top 16 riders that comprised the “Sweet 16″ which set the field for the Woody’s Challenge that was held on that Thursday night, February 2nd, 2017. The newly revised format saw Pro riders battle for $1,000, special Champion embroidered Woody’s Pit Coat, trophy to keep and their name added the Woody’s Challenge Trophy and of course bragging rights. Under the new format, AuGres, Michigan’s, Troy DeWald in his #21 Cadarette Collision Racing / Arctic Cat went to victory lane as the new format drew rave reviews from competitors, fans, officials and sponsors. DeWald repeated the feat in 2018 with a dominating performance that saw him lap the entire field with the exception of the second place finisher. In 2019, due to the extreme weather conditions that saw temperatures never getting above Zero degrees the entire week, another new format was introduced with the Top 16 through Qualifying locking themselves into the show. Then Two (2) Heat Races were held taking the Top 4 out of each and locking them into the “Best 8” Feature. 15 Laps for $1,000 to Win. Under the new format, the results were the same as DeWald “Three-Peated” and tied Todd Serra for the most wins all-time in the prestigious event. The Silver Anniversary, the 25th running of the Woody’s Challenge, will be held on Thursday, January 30, 2020. Will DeWald “Four-Peat” and become the winningest rider in Woody’s Challenge history? If you ask snowmobile racers “What’s the one to win?” They’ll tell you its the I-500! It’s the world’s longest, toughest, fastest and most-exciting snowmobile endurance race, bar none! The I-500 is a prestigious race to win. Winning the race takes nothing but the most outstanding performance of even the most skilled, professional drivers. Everyone wants the HARDWARE, but there is only one way to get it. The Directors of the I-500 present trophies to the top 15 teams, as well as other prestigious awards to various teams and finishers. Ladi Filipcheck Award: Presented to the driver that moves up the most from starting position (i.e. starts in 22nd position and ends up in 2nd). Joe Burch Memorial Trophy: Named after an influential past director, this award recipient is selected by race officials for outstanding sportsmanship. Rokie Talentino Memorial Mechanic Award: Presented to a pit-crew for their outstanding sportsmanship. The recipient is selected by race officials and is usually presented by Jim Talentino, or someone from the Talentino family. Lynwood-Skid-Roe Sportsmanship Memorial Award: Presented to the race team that shows the best sportsmanship within the pits during race week. Keith Rutledge Memorial Plaque: This award is kept at the I-500 Track Center and is displayed at various events attended by I-500 staff. The plaque proudly displays past I-500 winners.